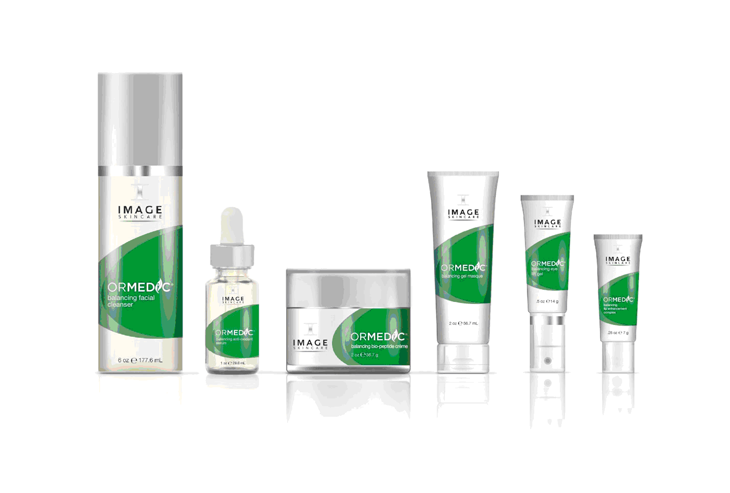 IMAGE Skin Care Products in Jacksonville and PonteVedra at the Jacksonville Cosmetic Surgery Center. An Organic green tea and chamomile gel cleanser that lifts away makeup and impurities. This organic facial cleanser balances the PH of your skin and eliminates the need for a toner. A harmonizing blend of comfrey, calendula and rich botanicals that deliver essential nutrients to restore the skin natural balance. This organic facial cleanser leaves skin soft, hydrated, and naturally clean. Ormeic Balancing Bio Peptide creme I an organic blended bio-peptide- creme that delivers essential anti-aging nutrients and vitamins to the skin. Organic Japanese Green Tea, mango shea butter, apricot and cucumber restores and balances the skin. Infused with Glycolic Acid and Retinol, this anti-aging night repair creme delivers vitamins and nutrients in a time-release formula for visibly firmer skin. Works overnight to repair and resurface. This luxurious eye lift creme resurfaces and visibly reduces the appearance of fine lines. A retinyl (retin-a derivative) - glycolic blend tightens the skin while chamomile, green tea and coneflower soothe tired and dehydrated eyes. This eye lift creme reveals "Ageless Eyes" in just a few applications. Apply daily for maximum protection and moisture. Reapply throughout the day and while exposed to the sun. Vital C is a creamy, hydrating cleanser that removes all makeup and impurities. Treats environmentally damaged skin, giving it a renewed, nourished and silky smooth feel. Vital C is ideal for rosacea-prone skin, smokers, travelers and all skin types needing more moisture. Apply to entire face and gently massage for 1 minute. Rinse off or tissue off. A scientifically- advanced hydrating, anti-aging eye gel. Containsa blend of nourishing anti-oxidants that reduce the appearance of fine lines and prevent the breakdown of collagen. Vitamin K (Phytonadion) diminishes dark circles. Vital C restores youthful looking eyes. A pharmaceutical grade Vitamin C serum that immediately minimizes and soothes the visible effects of environmentally damaged skin. 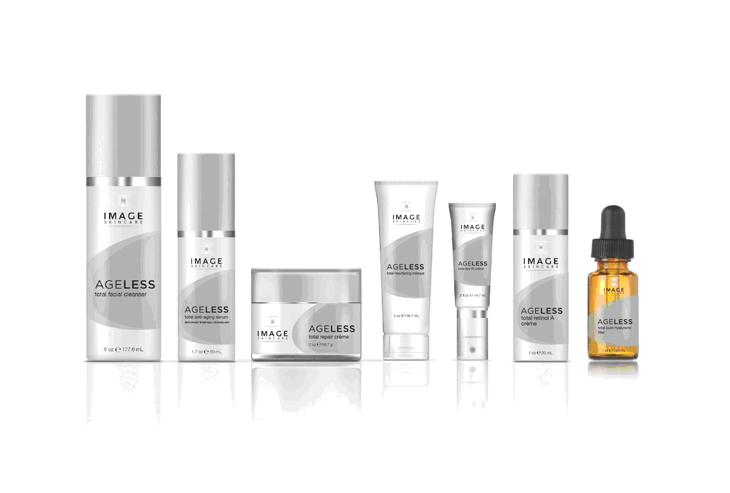 Vitamins A, C and E and anti-oxidants nourish the skin to create healthy, youthful glowing skin. 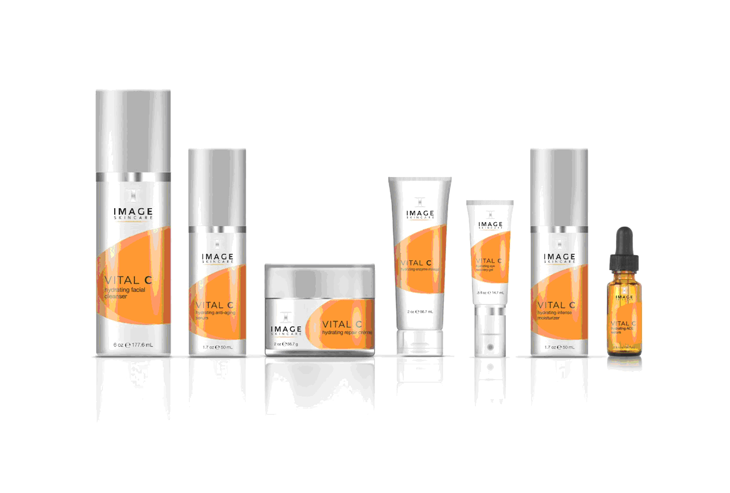 IMAGE Skin Care® Products may not be returned nor will the purchase price be refunded. Be sure to consult with our skin care professionals prior to purchase to assure the products you purchase are right for you.